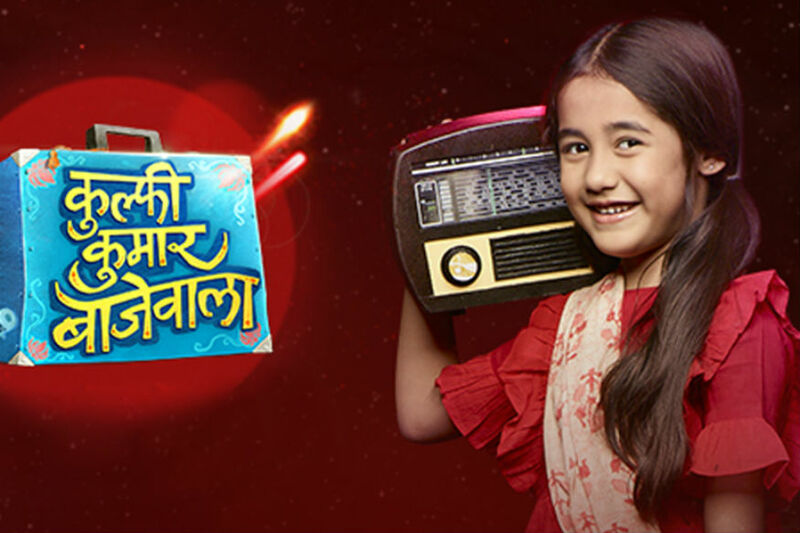 Home Star Plus Kullfi Kumarr Bajewala Kulfi Kumar Bajewala 14th February 2019 Written Episode Update Nimrat Back. Kulfi Kumar Bajewala 14th February 2019 Written Episode Update Nimrat Back. Lovely says sikander you wont meet amyra till you fill kulfis boarding form, sikander leaves.lovely says once form is filled all is done,water spills on boarding school form, lovely says oh no, thank God saved or else it would take two more days but how did glass spill. Mohendar asks sikander what was he saying about kulfi and lovely stopped him, sikander says nothing, mohendar says dont lie did lovely again forced you to do something to kulfi in name of amyra like send her away, sikander says no nothing, mohendar says i know you are lying. like this, kulfi cracks jokes with them and thinks i will always keep you smiling, lovely thinks why is she so happy.kulfi says im getting basuri lets check on video call whether it sounds same, kulfi runs in balcony and says how long will i hide this but i have to. Amyra says to sikander on video call,i want to come home stay with you and home, sikander says soon you will once you recover. Lovely walks to kulfi and asks did you forget what i told you in hospital, im gonna finish your life, sikander is gonna send you to, sikander walks in, kulfi says yes i will give back amyra her toys, sikander asks kulfi to leave, sikander asks did you tell her, lovely says i was about to, sikander says its a huge deal for her, lovely says you never keep promises so i will have to, sikander says i told you im sending her away. Kulfi in her room upset. Lovely says sikander this is all for amyra,she feels better when you are around and my daughter better die instead beg you for your love,so fill this form, form flies of lovely hand, sikander says i will go get it, lovely says i know im forcing you but its all for amyra and us, and im tired let me please hug you and hugs him.lovely feels nimrat (kulfis mother)around and goes to her room paniced. Lovely remembers killing kulfi in car accident, lovely tries to calm her down. Kulfi talks to Jonny and says I will leave soon but you take care of yourself, Jonny starts barking looking at door, kulfi says there’s no one, and says theres a flowery smell, nimrats soul standing nearby. (Nimrats soul has enteres sikanders house to protect kulfi and behind lovely). Nimrat says a mother wants her daughter to be secured, and lovely my daughter isn’t alone her mother is with her,you will repay for all your bad deeds, you can never get away from me, my kulfi fought alone with you,now i will tell sikander that he is kulfis father. Sikander asleep in music room, nimrat walks in and smiles looking at him, nimrat calls him and says kulfi is our daughter, till when will you not realise this truth,your daughter needs you. Sikander dreams of nimrat and wakes up, and says nimi, nimrat says yes im infront of you listen to me,kulfi is your daughter, sikander gets up and leaves, nimrat shouts hear me kulfi is our daughter, light bulb bursts, sikander walks towards it, nimrat touches his hand, sikander doesn’t feel it, sikander says im helpless that i had to get this form om unable to write kulfis name how will I send her away. Kulfi dreams of nimrat and wakes up, nimrat beside her, and asks nightmare, kulfi says ma it was nightmare,it was when you died,and it was painful and also now will it be painful again, also sikander will bear same pain,poor thing is doing it for amyra,enough of crying, nimrat says why do you always keep everyone ahead of you, kulfi says i will have to go boarding school now. Pre cap : kulfi says to sikander i dont like this school anymore send me to some boarding school it Will be fun. Nimrat says i can see your tears kid, and you believe that sikander wont let you go when he learns you are his daughter, the i believe in your belief and i will tell him the truth. মহেন্দ্র সিকান্দারকে জিজ্ঞেস করলেন, কুলি সম্পর্কে সে কী বলছে এবং সুন্দর কিছু তাকে থামিয়েছে, সিকান্দার কিছুই বলছে না, মোহেন্দ্র বলছে, মিথ্যা বলার পর আবারও সুদৃশ্য কিছু বলার জন্য আমিরের নামে কিছু করার জন্য বাধ্য হয়েছেন, তাকে সিকান্দার বলে কিছুই নেই, মাধেন্দ্র বলছেন, আমি কিছুই জানি না। তুমি মিথ্যা বলছ.